Can you believe it? 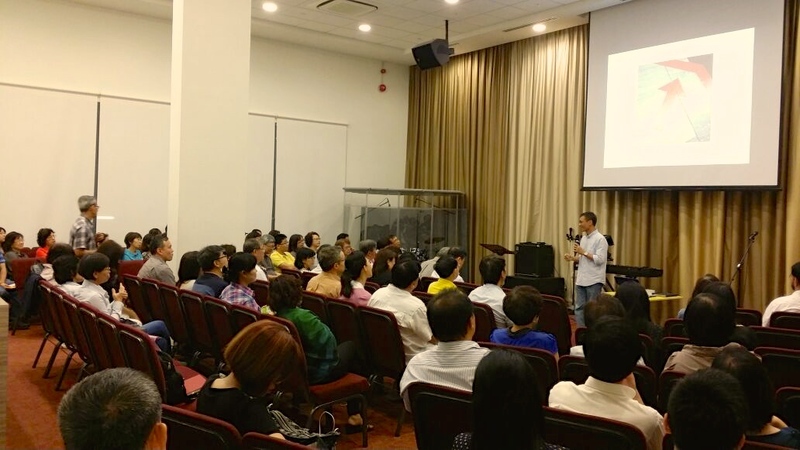 At the end of the Special Introductory Session last night (4 Feb), a sister excitedly declared, “Attendance was 101 tonight!” Not that I wouldn’t have been happy if more turned up but I just marvel at how the Lord has allowed certain numbers to be significant in this on-going journey of Archippus Awakening. To be prudent, we had initially booked #11-06 which had a capacity of 70. That number sounded just about right at that time. However, when I went again to check out the technical set up, I felt that it was too small. I shared that impression with the prayer team and three intercessors readily agreed, sensing that the attendance would exceed 70. Soon after, we changed the booking to #11-11 with a capacity of 120. As I typed out the email to confirm the room, I realised that the dates of our first block booking would be for the Special Introduction Session on 4 Feb and the first 10 sessions of KINGDOM101 thereafter, starting 18 Mar: a total of 11 sessions in #11-11! Ok, sounds nice, but what is the biblical significance of 11, I wondered? To my surprise, 11 is a number of chaos and disorder! That wasn’t what I had in mind … something a little more positive would have been better. But then, the Spirit reminded me that Archippus Awakening is an end-time ministry and it is in understanding and embracing this context that would keep us awake and aligned with what God has assigned. The world is in chaos and disorder, and it is through this darkness that the Light of Jesus Christ must shine through Archippuses raised and positioned for a mighty move of His Kingdom. This also reminds me that prayer is key as we navigate these first sessions of KINGDOM101. There will be challenges and battles to be fought. We must persevere and hold firm to what the Lord has shown and be faithful and obedient to plough through these initial weeks that momentum is gained and a steady pace is established for the next phase. And so, when I heard that the number count was 101 last night, I gave thanks to the Lord. Not just for all who came but that once again, He has affirmed another Archippus Awakening initiative! For sure, faith is evidenced by the steps of obedience we take. However, this does not mean that there is never any anxiety along the way. Hats off to those who never waver at all but I’m not at that stage yet. Let’s be honest: just because we had a good attendance last night does not guarantee anything when KINGDOM101 starts on 18 Mar, much less the weeks that follow. But with the Lord’s assurance and affirmation, the numbers do not matter as much anymore. Whether it is more or less than 101, with His assurance and warning, I know to stay the course and to keep going on for He is indeed with me and His hand is upon KINGDOM101. Hallelujah! 101 to me id always exceedingly good, more than full score. 11-11 has to be well over that. Glory to God!